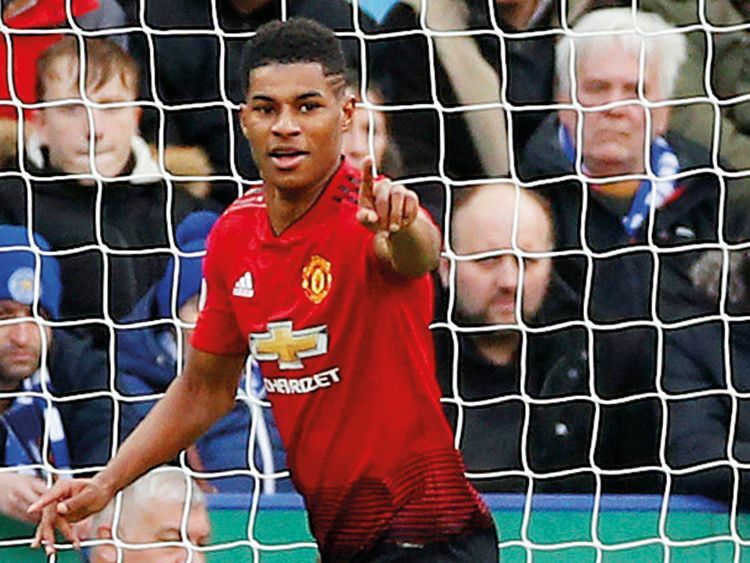 Leicester: Manchester United closed in once more on a top-four Premier League finish as Marcus Rashford’s fine form continued with the only goal in a 1-0 win at Leicester to move up to fifth. Rashford cushioned Paul Pogba’s through ball into his path before blasting home his sixth goal in Ole Gunnar Solskjaer’s 10 games in charge just nine minutes in. A 2-2 draw at home to Burnley in midweek is the only match Solskjaer has failed to win and another victory lifts United a point above Arsenal and to within two points of fourth-placed Chelsea in the fight for Champions League football next season. Twice the Spaniard stood tall to deny Jamie Vardy, but De Gea’s best save came from Rachid Ghezzal’s free-kick that arrowed towards the top corner. Meanwhile, Liverpool centre back Joe Gomez may need surgery on his broken leg and the club are not sure when he will return, manager Juergen Klopp has said. “It is not exactly going how we want that’s how it is. He needs more time. We cannot say more.” In the absence of Lovren and Gomez, Joel Matip will partner Van Dijk against West Ham, with midfielder James Milner expected to slot in at right back.